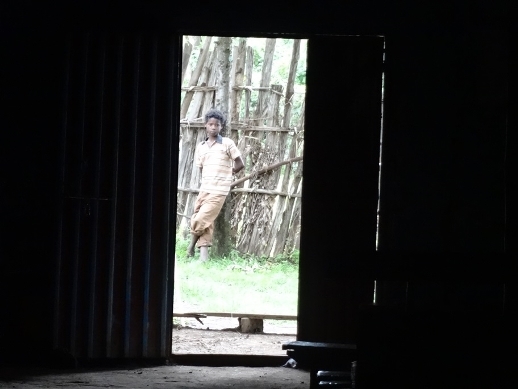 A church in a village 130km west of the Ethiopian capital, Addis Ababa, has been attacked three times recently by suspected animists angered over their evangelism efforts. On 30 August, a mob killed one Christian and injured around 30 others during the Sunday service. Two days later, a day after the murdered Christian’s funeral, a group of men strangled a female member of the congregation and left her for dead. Then, on 27 Sep., church members were again attacked as they returned home after church. Witnesses said the Sunday morning service was in progress when a woman started screaming outside the church. When the Christians rushed outside to investigate, they discovered a group of men attacking Alem, a member of the church in her forties. The scene quickly escalated into chaos as the attackers started assaulting other church members. They beat men, women and children with their fists and with sticks. They also broke chairs, windows and doors. One of the founding members of the church, 55-year-old Godana, was dragged into the church and attacked with machetes. He died from his wounds, leaving behind a wife, Beza, and eight children. Around 30 others were injured, although none seriously. It took more than an hour for the police to arrive, by which time the group of about 10 attackers had left. The local Christians said the attack was premeditated because the attackers tried to identify people from a list, which included the names of the pastor and two evangelists. However, the pastor did not identify himself, while the two others were not there that day. “Some of our friends from the village were telling us to take care as rumours about secret plans to attack us were spreading. But, we didn’t take it seriously. It is common for people to throw stones at us, but we didn’t think the hardest was still on the way,” said one of the church leaders. On the morning of 1 Sep., a day after Godana’s funeral, a group of men attacked a female evangelist in the congregation, identified as Dinke. At 5am, a group of unknown men knocked on her door. Everyone else at the compound was asleep, but because she did not suspect any danger, she opened the door without hesitation. The men grabbed her by the neck and prevented her from calling out for help. They dragged her to a nearby clearing and strangled her. It seems that the attackers thought Dinke was dead when she lost consciousness, so they tied her to a tree and left, but her brother found her and took her to hospital, where she is still recovering. Dinke has been deeply traumatised by the event. “I don’t think I could ever think of returning to the village,” she told visitors. Although church services were suspended for a few weeks, Christians resumed services on 27 Sept. At the end of the service, church members were again attacked with machetes and sticks as they returned home, but some of the church’s youths managed to fight off the attackers. Meanwhile, the family and friends of Godana are struggling to come to terms with their loss. 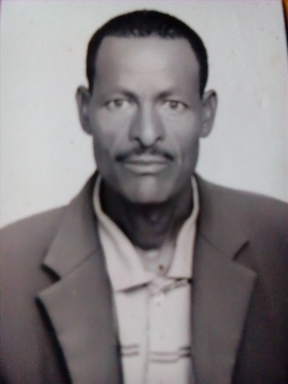 His widow, Beza, told visitors she does not know how she will be able to provide for her large family. “I suffer from pneumonia and have been receiving treatments for many years. Godana was responsible for everything in the house. I don’t know what I will do,” she said. 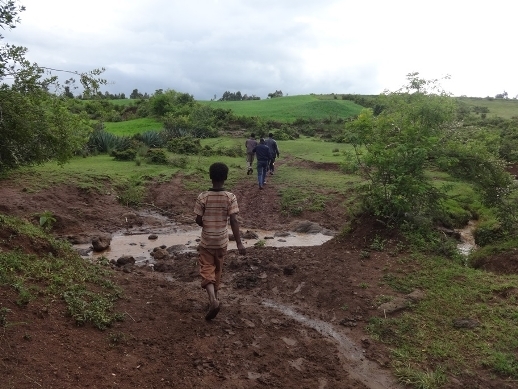 The village of Guder is situated in Oromia state. Although the Orthodox Church dominates the area, the past few years have seen an increase in Ethiopians returning to the traditional Wakefeta religion, after the government started encouraging Ethiopians to return to their cultural roots. The Guder church’s successful evangelism efforts in this region have previously invited insults and threats against its members.